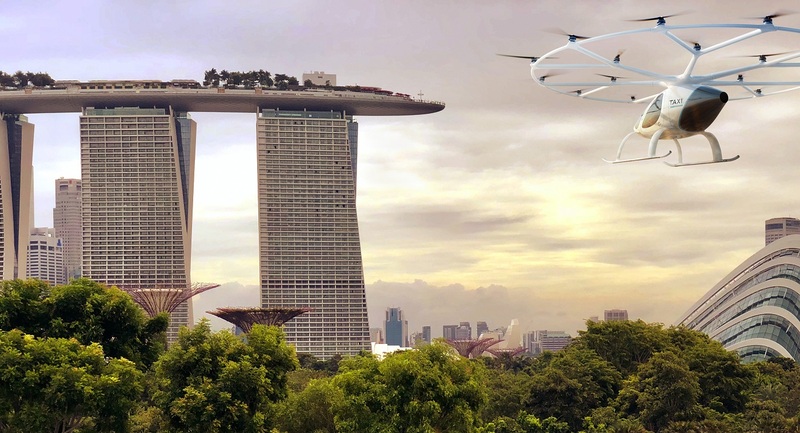 Already undergoing testing in Germany and Dubai, Volocopter’s 2X appears to be the company’s flagship for continuing development. The following video (in French) intercuts a representative explaining the benefits of the Volocopter with images of its public flight testing in Dubai. There are apparently less well-publicized tests in the nearby desert and ongoing development in Germany. 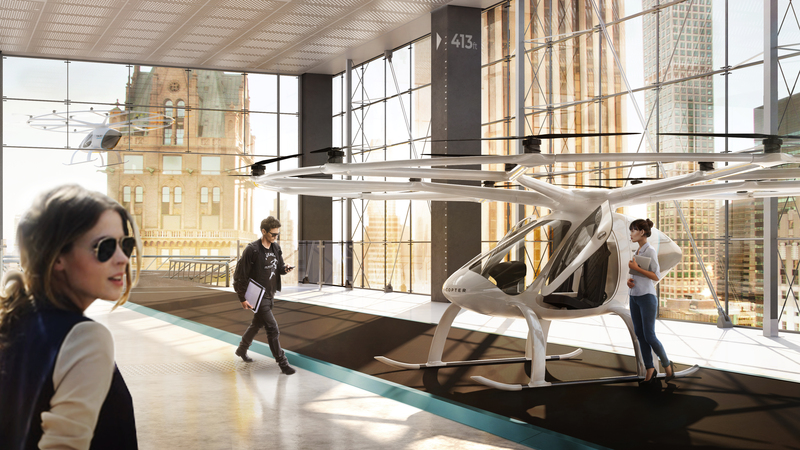 With a safe range “just under” 30 kilometers (18.6 miles), the Volocopter is well-suited to inner-city flights. Worries about micro turbulence around tall buildings can be offset because of its drone-like ability to handle gusts “thus offering a smooth ride for passengers.” Since Singapore is an island about 16 by 27 miles, it’s sized right for such testing, too. Its data sheet shows a noise level of 65 dB (A) at 75 meters (246 feet), less than the typical background noise of a city. Usually, Volocopters will fly at 100 meters (328 feet) or more, eliminating their aural presence. The visual aspects will be more spectacular as the 2X’s wend their way through Singapore’s towering architecture. 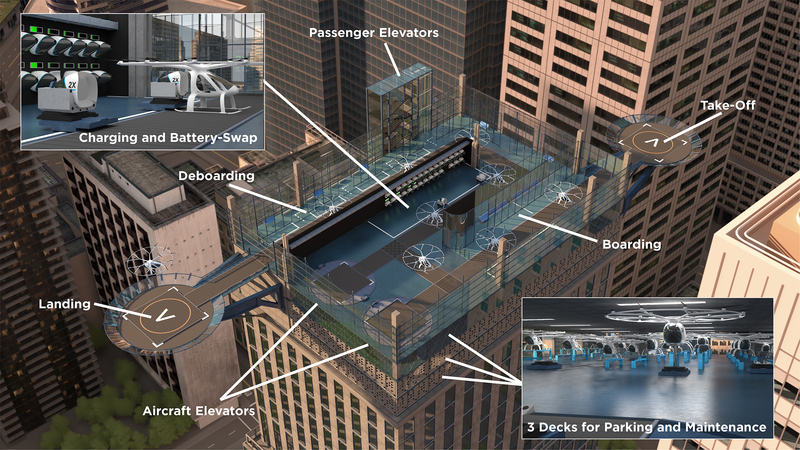 Volocopter envisions launch platforms on large buildings. Will this be plausible or problematic? With a preliminary permit to fly in Germany since 2016, Volocopter is cooperating with the European Aviation Safety Authority (EASA) to receive a full commercial license. Various Volocopter models have flown both indoors and out in its home country, and with public flights there and in Dubai, are competing with eHang and others to be the first sky taxis in several locations worldwide. This could become a thing, as the young are apt to say.